A downpour of deals and steals await budget-savvy shoppers at the Outlet and Factory Fair! When it comes to retail therapy, there’s nothing more thrilling than bargain hunting at an outlet or factory mall. Imagine your favorite brands lined-up with killer discounts and significant savings abound- all in one place. 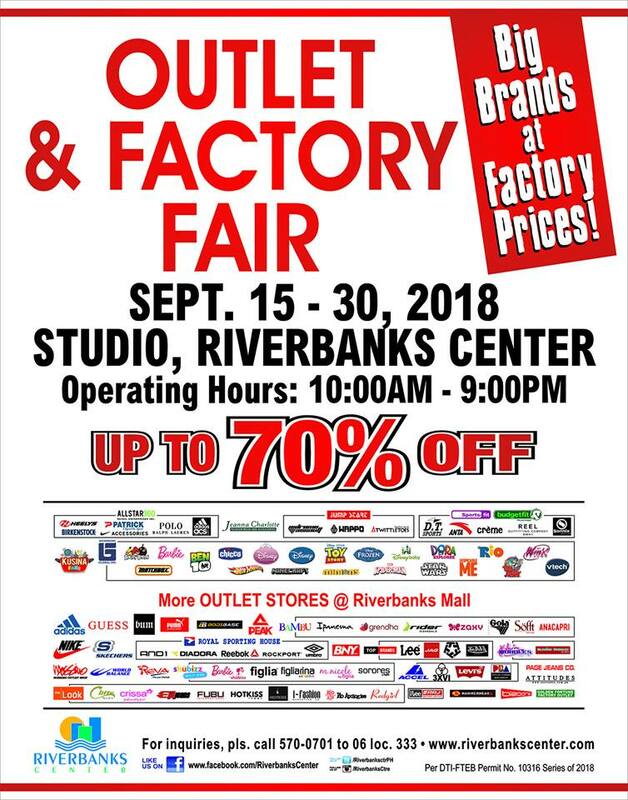 And if you are looking into stretching the power of your peso, Riverbanks Center Mall’s Outlet and Factory Fair is one place to be. Whether you are scoring gems from your favorite designers, discovering trends you missed last season, or snagging #OOTD essentials- you will find almost everything to be priced much lower than in regular malls. Visit Riverbanks Center until September 30, 2018 to score a haul with your beshies. Get a hold of multitude of branded items from the Outlet and Factory Fair and enjoy discounts up to 70%. These include collections from All Start 60, World Balance, Sports Fit, Kusina Fair, Rich Prime items, and more! Other global and local outlets stores in the mall are also participating- such as Adidas, RRJ, Nike Outlet Store, PUMA, Guess, BNY, Royal Sporting House to name a few. On top of markdown madness, shoppers will also get a chance to win gift certs from participating stores via OUTLET & FACTORY FAIR (OFF) raffle survey. For a minimum single purchase worth Php300.00, you can join the raffle and win Php2000 worth of GCs. Riverbanks Center takes pride as en ECO-friendly destination for budget-conscious shoppers. It is located at A. Bonifacio Ave., Marikina City and noted for having the most number of outlet stores. You may call 5700701 loc. 333 or visit www.riverbankscenter.com for inquiries. 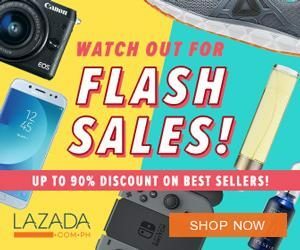 You may also visit their official Facebook Page for more sale promotions.